The RF Transformers inter-convert several types of Power Advantage energy to and from Redstone Flux (RF). 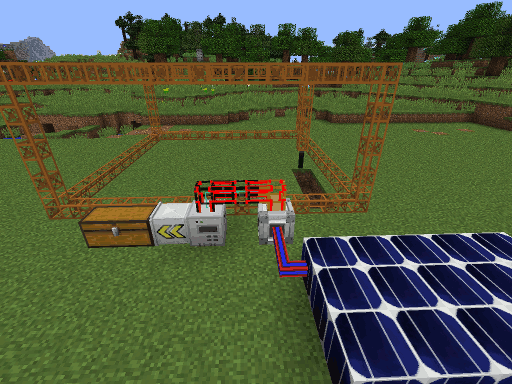 In the image above, an Electricity-RF Transformer is used to created a solar-powered quarry (quarry is a machine from the BuildCraft mod). 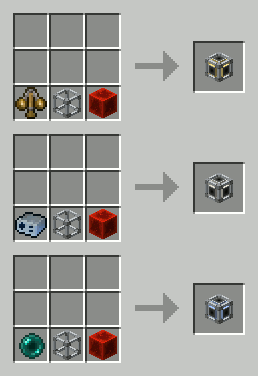 Energy can be transformed in the other direction, as shown in the image below. The RF Transformers work even when extended mod compatibility is disabled. 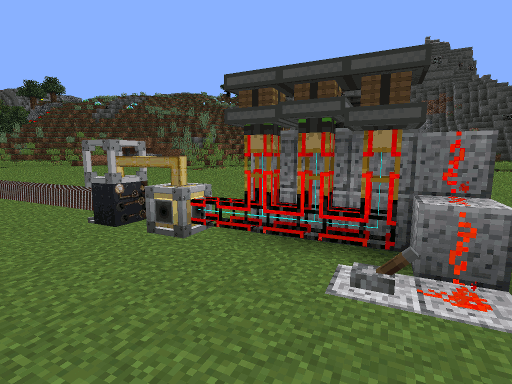 If you wish to improve the performance of your server, disable extended mod compatibility and use the converter blocks instead of connecting the wires/pipes directly to machines from other mods.